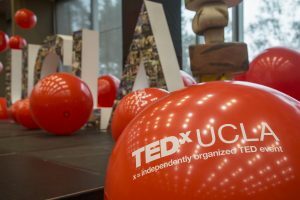 On Friday, July 22, 2016 UCLA will be hosting a TEDxUCLA Salon. The theme of this salon will be Gratitude. TEDxUCLA and TEDxUCLASalons are brought to you by UCLA Extension and UCLA Residential Life. 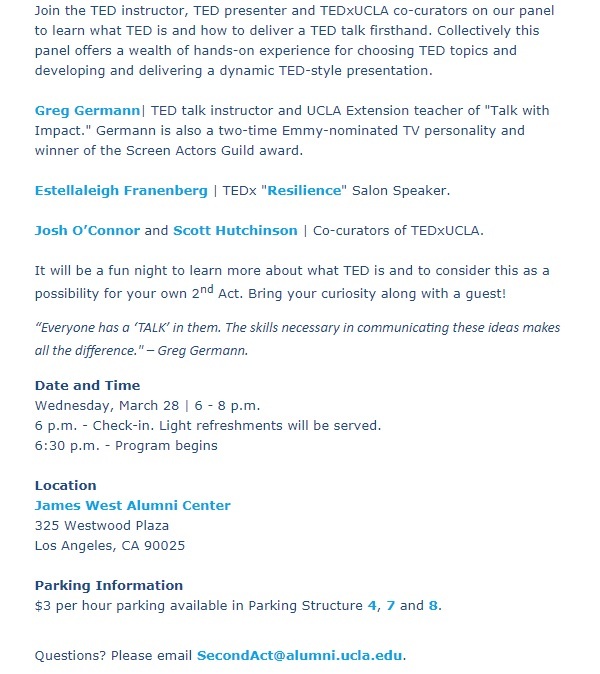 Don’t miss an exciting day of ideas worth sharing at TEDxFulbright on Sept. 26th in Santa Monica. Even better, a limited number of discounted $35 tickets for UCLA students are available. Click here for more information and don’t miss out on this unique opportunity! Thinking outside the box can mean reassessing cultural messaging about roles and labels. 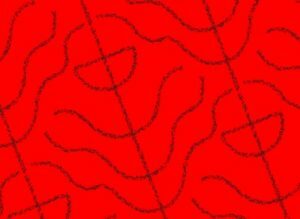 For artists and designers, that could be redefining what a book, or alphabet, or painting can be. For Tania Israel, it was a personal journey toward a deeper understanding of sexuality and orientation. Not everyone fits into one of two boxes – humans are much more interesting than that. Watch Tania’s TEDxUCLA talk, Bisexuality the Beyond. Of all the 2015 TedxUCLA talks, the one I felt our DCA students would benefit from the most was Adi Jaffe’s talk, “Rebranding our Shame.” Jaffe shares intimate details of his less-than-savory previous life, a life that could have left him branded many negative words forever (I won’t spoil his powerful storytelling by sharing what some of those are). 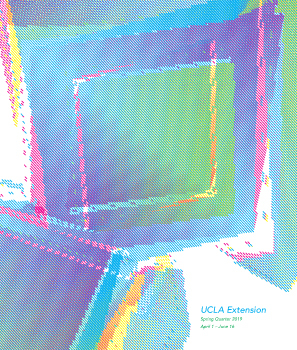 Many of our DCA graduates go on to help clients take a fresh look at their branding and create new identity systems. I’ve personally felt my preexisting notions about, for example, a “cheap but cheerful” LA restaurant transform as I’ve perused a new logo, storefront, menu, and takeout packaging created by one of our students. The design communications arts can be an extremely powerful tool for shaping how we feel about almost anything, including other people. Chris Rutterford’s Amazing Mural is Complete! Following up on our post of last month, TEDxUCLA speaker and artist Chris Rutterford recently completed his live mural at the Tron Kirk, as part of the Edinburgh Fringe Festival. He sat in scaffolding for fifteen hours a day FOR A WHOLE MONTH to create the 520-foot work. The results are pretty amazing! The whole project would be exceptional in and of itself, but Chris was also wearing a top hat the whole time, which takes it to another level. You may remember Chris Rutterford’s lively TEDxUCLA talk (if not, watch it here), and he’s at it again, this time capturing the mood and excitement of the Edinburg Fringe Festival. Chris created a giant mural over 14 hours at the festival. Anyone who donated to the project could have their picture taken and be added in! The live element of his work brings a lot of fun and energy into all his projects. 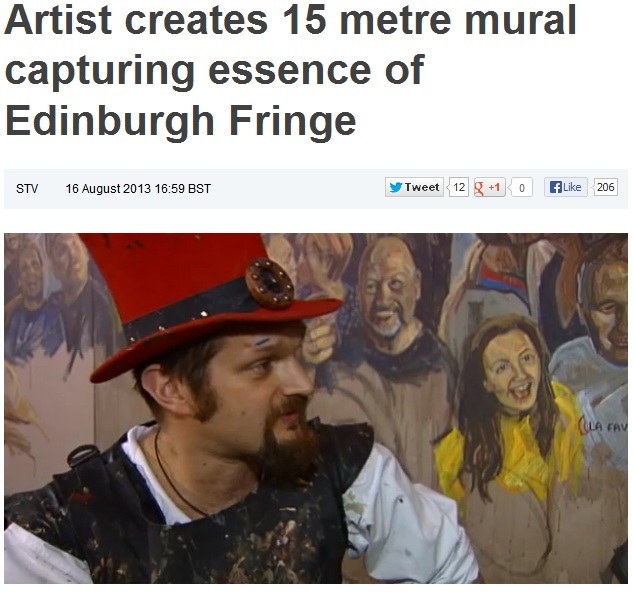 Check out the whole article here, as well as a video of Chris working on the mural! TED has a great new website that highlights a single quote from a talk – if it peaks your interest, you can press play to watch the whole talk.